The 100 and 200 block of South Main and the 100 block of North Main are hosts to 47 works of art from artists both past and present. Look for paintings, the Wild Dala herd, sculptures, wind vanes, murals, iron works and tiles. 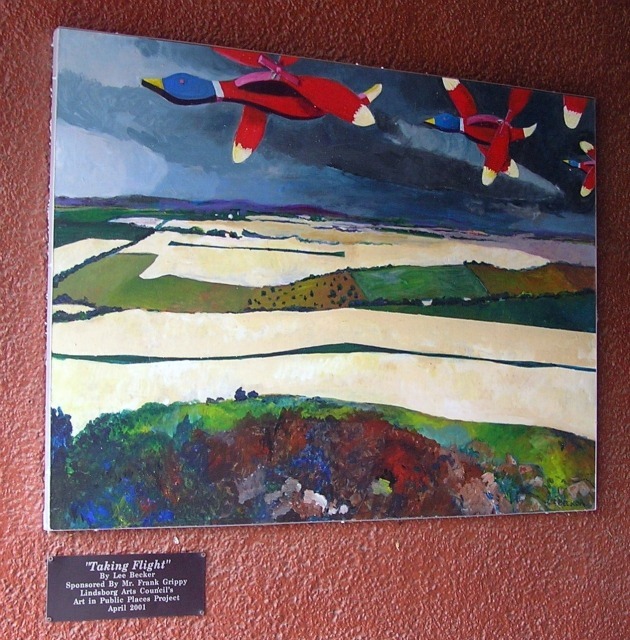 For a complete guide to Lindsborg's art about town, go to http://www.visitlindsborg.com.